Former Manchester United poster boy Cristiano Ronaldo could be banned for four to twelve matches in the wake of the incident that occurred in the Supercopa de Espana final between Real Madrid and Barcelona (3-1) on Sunday night. The Portugal international reacted by shoving referee Ricardo De Burgos after he was sent off in the 82nd minute. Ronaldo received a yellow card in the 80th minute for removing his shirt while celebrating his goal, and a couple of minutes later the Portuguese fell in the penalty box, and the referee ruled that he dived. As a result, Ronaldo received a second warning, then the number seven pushed the referee before leaving the pitch. 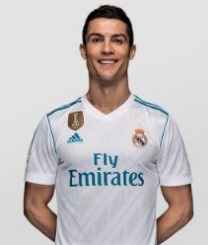 According to the regulations of the Royal Spanish Football Federation (RFEF), if Ronaldo receives a disqualification of less than four matches, it will only concern the Super Cup, and if the penalty is more than four games, it will apply to all matches under the auspices of the RFEF.